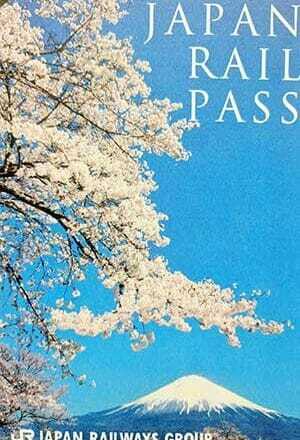 You’ve got a voucher for your Japan Rail Pass. Great! But where and how can you validate / receive the pass? Bring your voucher to a JR (Japan Railroad Company) counter located at major JR train stations called Midori-no Madoguchi, which literally means “Green Counter”. They will know what you want if you show the voucher, but try saying “onegai shimasu” along with showing the voucher. It is a useful and polite expression in Japanese meaning “please do this for me” that you can use almost everywhere you go in Japan. You can just say “onegai shimasu” or use is in place for please like “shio-ramen onegai shimasu”. The counter in KIX is located at the 2nd floor, which is one floor up from where you come out after the custom. Look for a sign that says “Trains”. You can use an elevator to go up one floor. Then the counter is on your left while you’ll see a ticket gate to trains on your right. Since there is only one international terminal, it is more simple at KIX. *KIX has been hit by Typhoon Jebi in September, 2018. If you have already booked a flight to KIX, be sure to contact your airline. Some airlines allow passengers to switch their flights to other destinations such as Narita and Haneda in Tokyo, but for a limited period of time. 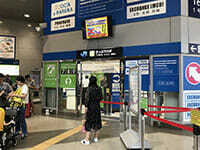 Narita has JR EAST Travel Service Center where you can not only validate / receive your JR Pass, but ask other questions about travelling in Japan. They have English-speaking agents. 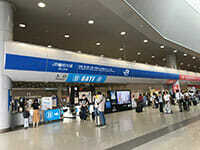 JR East Travel Service Center is located near the ticket gate for JR trains. So, look for “Trains” sign on our arrival floor to get there. You can find a map on JR website here. Haneda is much more convenient when you want to get to Tokyo. But as for JR Pass, it is a bit more complicated since JR trains don’t run to Haneda station. You will need to take either Keikyu or Tokyo Monorail lines to get to one of JR stations, Shinagawa and Hamamatsucho respectively. Or you can take a taxi or a shuttle bus to get to your hotel, then go to one of following JR stations from there: Tokyo, Shibuya, Shinjuku, Ueno, Hamamatsucho, Shinagawa. Again, if you didn’t or couldn’t validate / receive your JR Pass at the airport, you can do so at major JR stations. 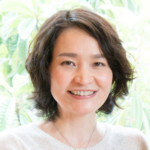 Look for green Midori-no-madoguchi signs. Keep in mind that Japan Rail Pass is only valid for JR trains. JR covers most of regions and areas in Japan. But there are many other private lines in cities. Still, you can get around using your JR pass most of the time. So, it’s really worth having the pass. With your pass, you are eligible to get on any Shinkansen except types called Nozomi and Mizuho. You can always hop on to get a non-reserved seat. When you get to the station, head to the counter and show your Japan Rail Pass. Then, ask for a reserved seat. It is free to reserve a seat for a Japan Rail Pass holder. Say “Shiteiseki onegai shimasu” or just “Shiteiseki, please”. Shiteiseki means a reserved seat.